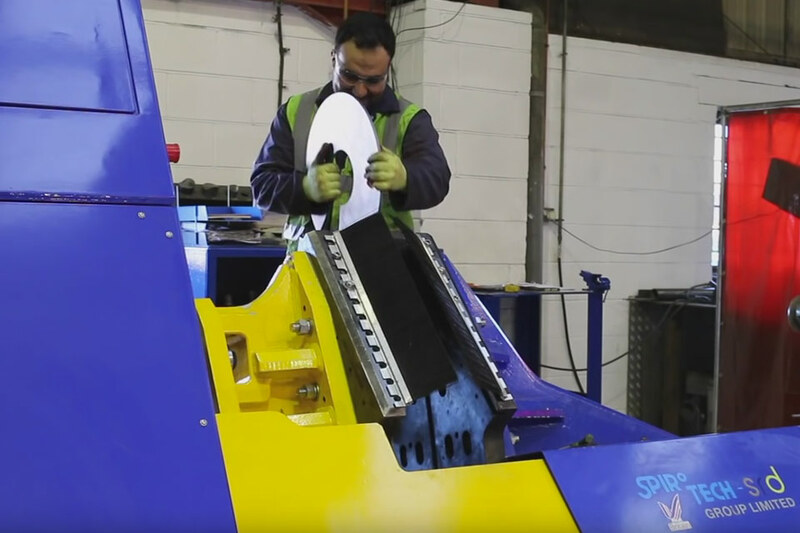 A short video of the screw flight press service in action, with an overview of the benefits and advantages of the different sizes and types of flight that Spirotech can produce for our customers. The basic design of the screw conveyor has changed little over thousands of years but Spirotech has invested time and energy to improve the manufacturing of the flights on the screws and, due to Spirotech’s recent acquisition of the industries most advanced screw flight press, Spirotech can now supply very large size, high quality flights at its production plant in the UK for supply worldwide. 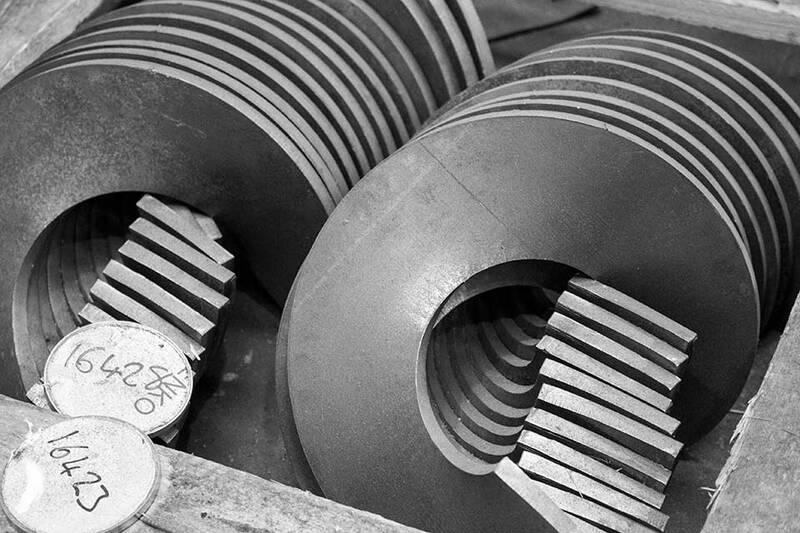 Our system uses interchangeable hardened plates that produce a screw flight helix of unprecedented quality regardless of the pitch, outside diameter, inside diameter, material or feature. The same plates produce both right hand and left hand helical screw flights. The machine will calculate, and set, the applicable outputs for pressure and gaps ensuring consistent production of your screw flights all of the time – every time. The Spirotech screw flight press doesn’t use ‘pitch dependent forming dies’ but a system of interchangeable hardened plates that produce a flight helix of unprecedented quality regardless of the pitch, outside diameter, inside diameter, material or feature. The same plates produce both right hand and left hand helical screw flights, tapered flights on parallel shaft or tapered flights on a tapered shaft. An integral component of the screw flight press is the accurate calculation of the flight blank. Our program allows us to input your finished flight parameters and the cutting sizes for the flat flight blank are instantaneously calculated. The results are displayed graphically on the screen and saved to transfer to the cutting machine. Perfect screw flights all the time – every time. If you’ve struggled to find a supplier of large screw flights in the UK please contact Spirotech’s Production Director Russell Gadsby on +44 (0) 1487 832 053 or email: russell@spirotechgroup.co.uk for a competitive quote for your project.